Business owner, Mark Nash has over 20 years’ experience in aluminium fabrication and completed his apprenticeship as an Aluminium Fabrication Engineer in 1998. Prior to starting his own business, Mark worked over east and abroad to hone his skills as an aluminium fabricator. In WA he has worked for two other well-known boat manufacturers, building custom boats and working on commercial vessels. In 2011 Mark was contracted to advise and oversee Chinese operations of aluminium boat building before returning to the helm of Wakemaker Marine. Wakemaker Marine also services the mining sector producing structural aluminium components and products such as safety rails, gates, gangways, crossover bridges, safety cages and ladder cages; meeting stringent specifications, including welding codes. 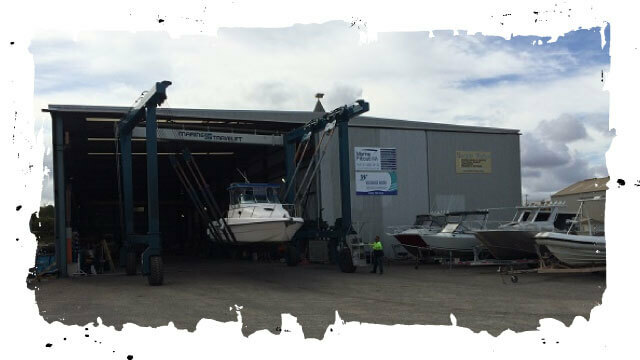 When you need a reliable fabrication firm to customise your boat or to complete all your aluminium product requirements, contact Wakemaker Marine today. Visit our Contact Page or scroll down to get our contact details.